Marina Abramovic is an artist who went through a unique break-up with her boyfriend, Ulay, during the 1970s. They decided to end things in quite an interesting manner; by walking towards each other from the two ends of the Great Wall of China to the middle, and embracing each other one last time before finally parting ways. Thirty years and more have passed since this last encounter with one another, after which they never happened to meet again. 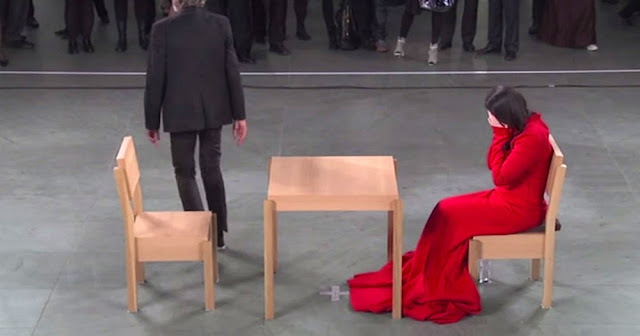 In 2010, whilst Marina holds a live art performance for which she sits across random strangers in complete silence one after the other, her ex-lover shows up, unannounced, to be a part of this experience on the opening night of the show at the Museum of Modern Art. This video beautifully captures the priceless moment that Marina and Ulay share, as they see one another after thirty long years. Watch the video to see what raw heart wrenching emotions look like.